This is the best Blu-Ray Concert I own! Porcupine Tree rules!! 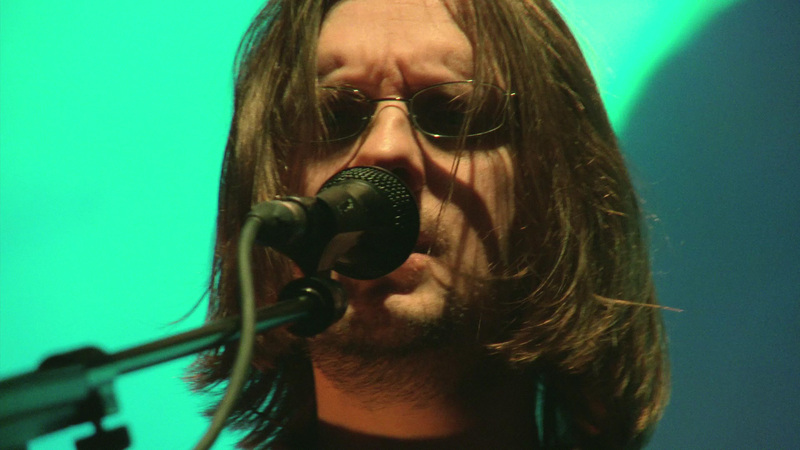 Movie: Porcupine Tree are at the top of their game in this concert. Filming over two nights ensured that they picked the best performances for this film. I'm also pleased that except for the last song "Halo" none of the songs in this film are featured on their first DVD "Arriving Somewhere…". 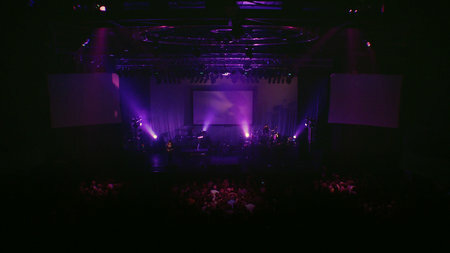 The first 6 songs (FOABP-Sleep Together) are a performance of the entire Fear of a Blank Planet album (released in 2007). Following that are three songs from the Nil Recurring EP also released in 2007 (What Happens Now, Normal, Cheating the Polygraph), and then some older songs from Signify (Dark Matter, Sever, Sleep of No Dreaming) In Absentia (Wedding Nails and Strip the Soul/.3) Deadwing (Halo) and some b-sides (Drown With Me and Half-Light). All 4 members of the band (and touring guitarist John Wesley) put on a stellar performance showing that they all have incredible music chops (and in the case of Steven Wilson and Wesley incredible vocal chops as well). Video: This is the clearest Blu-Ray picture I've seen for a live concert (Yes, it's even better than Rush's Snakes & Arrows Blu-Ray). This is really a plus seeing as how their first DVD suffered from bad picture quality filled with gimmicky effects. It's definitely the closest one will get to this band without actually going to a concert. Porcupine Tree in live performances are not only known for thier musical aspect but also for their great visual aspect as well featuring stellar lighting and films projected onto a big screen behind them (some of which are featured here in the extras section). It's great to see all of that come alive in 1080p HD. Audio: Phenomenal! The DTS-HD Master Audio packs so much punch especially seeing as how the guitars are in the surround speakers. You get this wonderful enveloping presence like you're right in the middle of them performing on stage. The DTS-HD MA track sound quality is approximately 48kHz at around 4-5 Mbps. That's basically an mp3 a second (and Steven Wilson hates mp3s and iPods! Look up videos of him on YouTube destroying iPods). The Lossless PCM stereo track is also great too but definitely listen to the DTS-HD MA if you have the equipment. Steven Wilson is known for being a great 5.1 mixer and this mix is no exception to the other great work that he's done! Extras: The only extras are 5 live screen films for Way Out of Here, My Ashes, Wedding Nails, Strip the Soul/.3 and Nil Recurring. 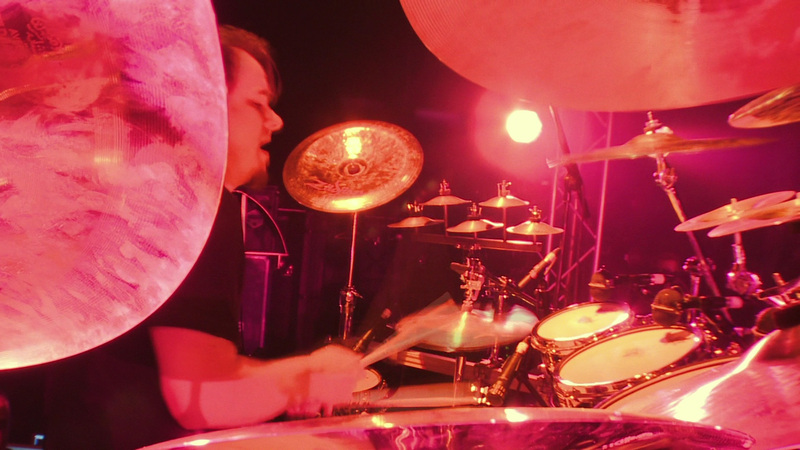 These show off the wonderful work of Lasse Hoile (whose also the director of the concert film), but except for Nil Recurring all of these can be seen behind the band during the acutal concert so they are probably not that essential to watch. Overall: This is my favorite concert Blu-Ray that I own. 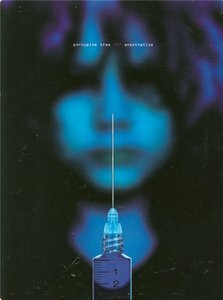 If you're a Porcupine Tree fan please go and pick up this Blu-Ray Disc as soon as it becomes available at retail. If you have never heard of this band or any of their music, I would encourage you to buy this as a first step and then if you like it go and buy all of their other wonderful albums. This is an especially good buy for fans of Progressive Rock. I can't wait until they release another Blu-Ray! 2. All Thanks go to kurosaki_ichigo.